One of the most important concepts in the world of business is customer acquisition and loyalty. Without customers, there aren’t any sales which means that there’s no profit. Without profit, any and all businesses will go down in flames without question. Any business owner can practice different methods in order to gain new customers. Things like email marketing, printed advertisements, and social media ads are all available to any business; the possibilities are really endless. The thing is, retaining customers is just as important as customer acquisition, if not even more so. Every business needs new customers, but if those customers don’t keep coming back there’s no way of guaranteeing true success in the long run. One of the best ways to better customer retention rates is with an SMS powered loyalty program. 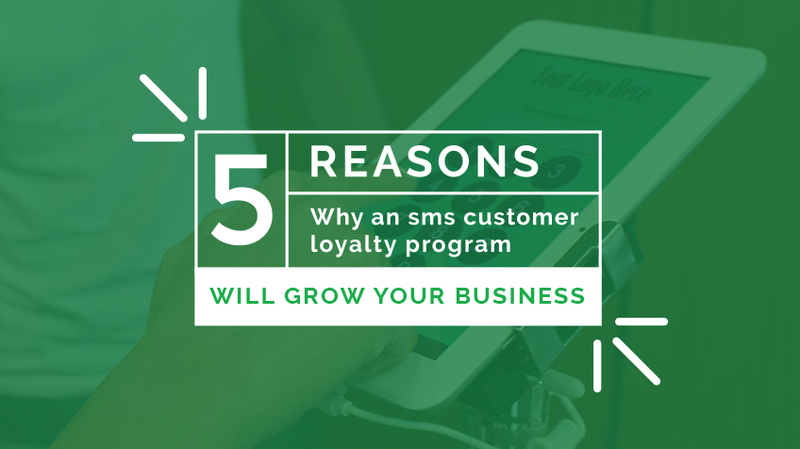 Here are 5 reasons why an SMS customer loyalty program will grow any business. Showing your customers that you care about them will always prove to be effective when it comes to customer retention. According to many studies, loyalty programs have been proven to increase customer retention rates by 30% or more. That is because loyalty programs incite customers to visit a place of business more frequently while also encouraging them to spend more each time they come in. One of the biggest threats in the realm of business is the idea of competition. Businesses need to try and put themselves ahead of the competition in more ways than one in order to remain successful. One of the easiest ways to beat the competition is with a loyalty program. Think about it: wouldn’t you be more inclined to return to a business that promised you rewards for being a loyal customer over a business that didn’t? An important aspect of loyalty programs that one needs to focus on in order to grow any business is the rewards being offered when the end goal is reached. A loyalty program enables you to offer your customers amazing coupons and deals which they will respond to in a positive way. The catch is that they need to spend money in order to earn that reward they so desperately want. That is why as loyalty program works in the business’s favor. The biggest upside to running loyalty programs and loyalty campaigns in any business is that it encourages customers to come back in a fun and interactive way. Simply handing a customer a coupon or having a storewide sale is exciting, but what’s even more exciting is the build up of when a customer has to earn that reward for themselves. Not only does a loyalty program entice customers to come in and earn points so they can win their prize, but it also enables them to feel like a VIP customer which will get them to come in more often as well. In the past, loyalty programs consisted of punch cards that people tend to lose more often than not. The fact of the matter is that SMS powered loyalty programs conveniently virtualize the way rewards programs work. This makes it all the more easy for both customers and business owners alike.